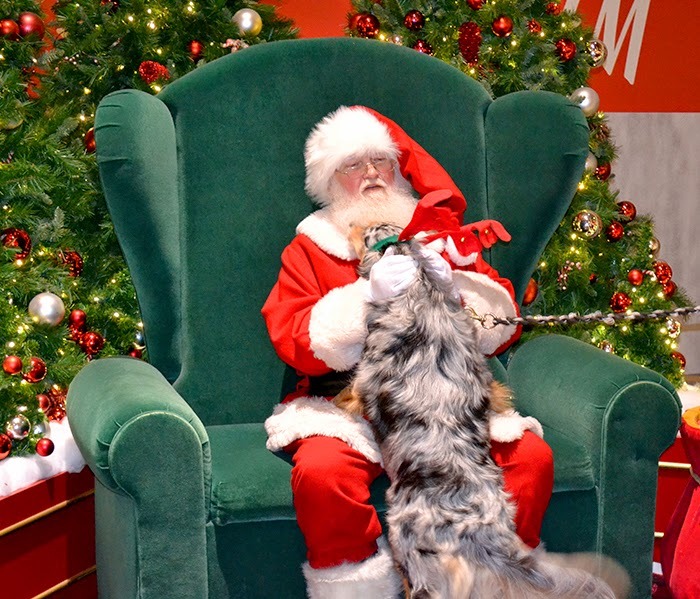 I looked forward to Paws & Claus Pet Pictures With Santa at the Louis Joliet Mall all week! I think my Mom and Tucker were just as excited to meet Santa! At first glance, Santa thought Tucker was Rudolph. She leaned in and gave him a quick kiss and told him her wish for Christmas. Maggie, Santa and Tucker smiled for the camera and had a nice visit. Could this picture be any cuter?! SO cute! Before we could head over to the Digi Tree for more pictures, Mom and Tucker had some serious Christmas Shopping to do. They were not messing around! A couple quick peaks at some presents for the kiddos. After a moment of playtime, it was off to the Digi Tree! What a wonderful oasis in all the Christmas shopping this is! I finally had a moment to sit down. Shopping with Mom and Tucker is a whirlwind! Such pretty colors sprinkled in with events, store deals and photo booth pics. Miss Maggie was super pleased to see her and Tucker in the big tree. Tucker was very excited about her special day at the mall, but I think she was just as happy to be getting back to the farm. We had such a wonderful visit, and it was so nice to meet for a bit of Christmas shopping and head back to the city. Next up, is shopping with Dad. I'm going to make sure we hit H&M, which opens December 12 at noon! They have such cute kiddo clothes...and Mommy deserves something cute as well! 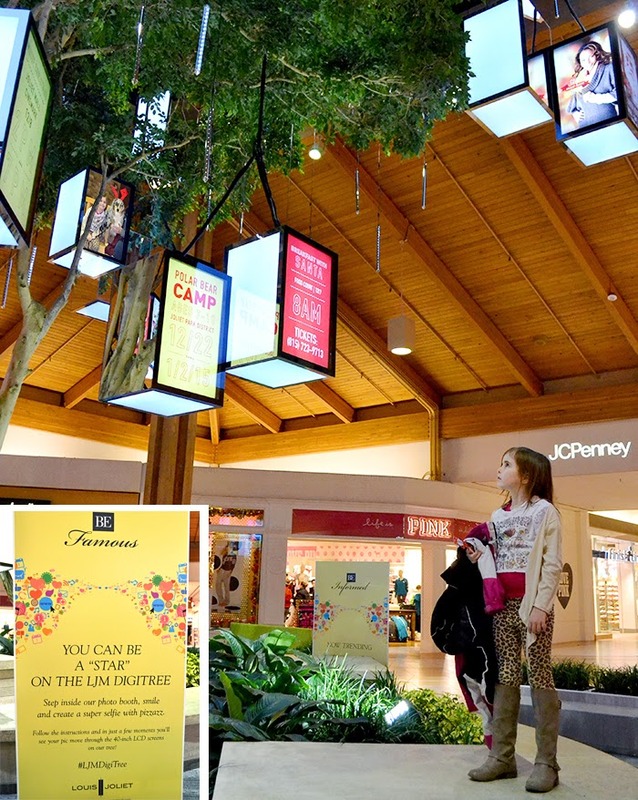 To check out all the events at the Louis Joliet Mall, please visit their Facebook Page. There is another Paws & Claus with Santa, Monday Dec 8 if your furry friend wants to meet the man in red. I haven't been inside a mall in ages, but now I want to go. To see Santa if nothing else. I will have to see if any of the malls around here allow for pets. I would love a pet photo with Santa! It's such a fun idea! These photos are simply adorable. I love the one with Santa himself! Oh my goodness I love that the dog was in the photo and met Santa! Way too cute! They let dogs into your mall? That's pretty amazing. At first I thought the pooch was a service dog, but I don't see a vest. 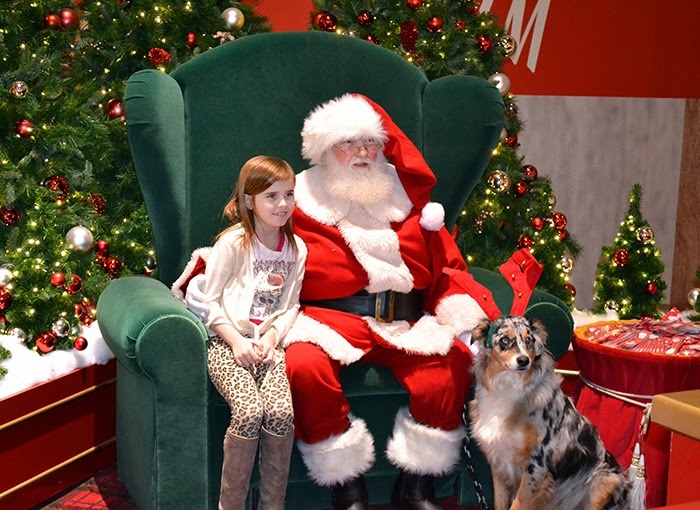 This was Paws & Claus event at the Mall where your pet can have their picture with Santa. Most days, pets can't shop with you. How fun! I wonder if our local mall allows pets to meet Santa. Our golden would likely be WAY too hyper for it though!! I was surprised how good Tucker was! That is the sweetest Santa photo I have ever seen. I would love to include our pets in holiday photos! Tucker was such a sweet heart! What a fun visit with Santa! I don't think our mall allows the pets inside! 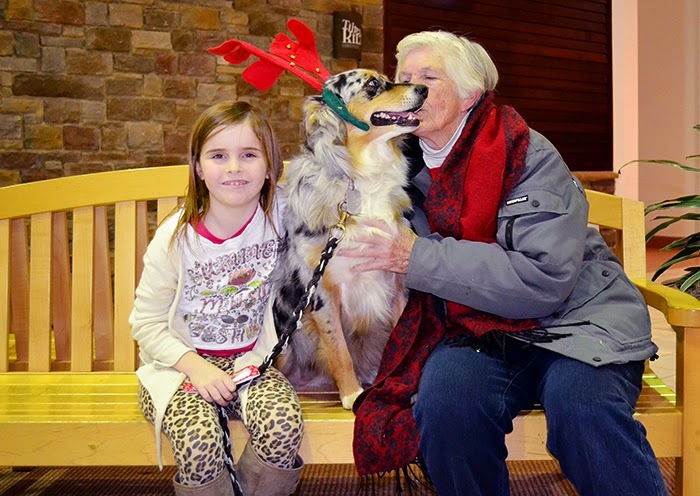 This was a special day for pets to visit with Santa. I think it's a great idea! That's so neat they let the dog see Santa! I love the ears too! So festive! 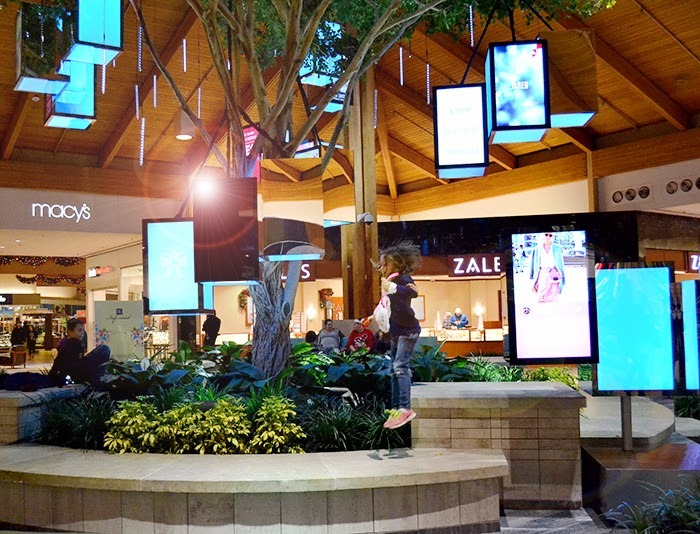 Looks like a lovely mall to visit during the holidays! It is really neat that you can take your dog to see Santa. All the pictures are great. I love the antlers. Looks like you guys had a great time, jury is out on how much Santa is enjoying himself though. Santa is working hard, that's for sure! Awww! I love you brought your dog to the photos! How fun! We haven't done our visit to Santa yet. We need to do it. I love that your dog wore the antlers, so cute! How fun!! And a perfect pose with Santa too, lol, that is perfect! I wish we could do that in our town! That would be so fun to bring along our pup! I love that your dog got to tag along! 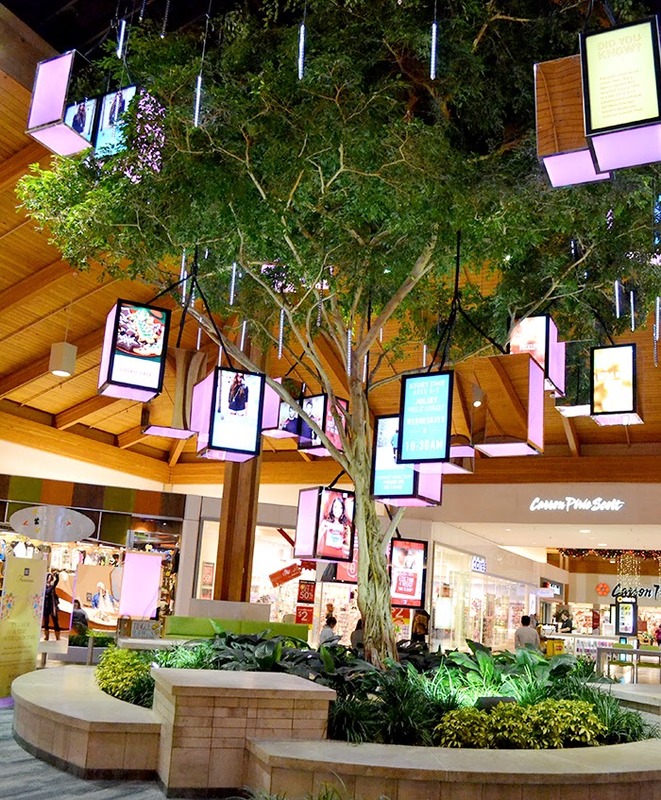 Also, that Digi Tree is so neat! What a super fun looking mall. That dog is just too cute. OMG! Your dog is beautiful! I love that he got to see Santa! Looks like a fun shopping trip. The pictures with santa are cute. That was such a great pic with Santa. I don't know if I could have gotten my kids and dog to all look the same direction at the same time. How fun to get to take your pet to see Santa! I'm jealous that you are getting an H&M! How wonderful! We always look for nice places to shop and this looks filled with Christmas cheer! What a happy, holiday festive family time together you are sharing here. This is great, I love it. Happy day to you and yours! Those are some really great pictures! And that Santa looks like a great Santa too! 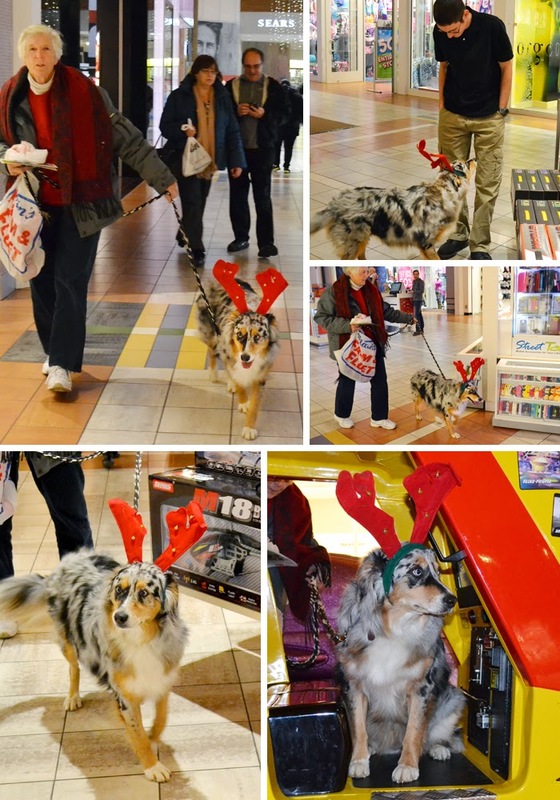 How awesome that you can take your dog into the mall like that! And she is a beauty! My son is too old for Santa pics, so we probably won't even go to a mall this Christmas. But if we could take our dog I'd be so there!